FASHION DOLL COZY COTTAGE | American Plastic Toys Inc.
Every doll needs a home and this cozy cottage is a beautiful place for them to live! This two-story home has an open-air design, allowing for play from all sides. 13 household items add to the fun and give kids a place to make a home for their dolls. 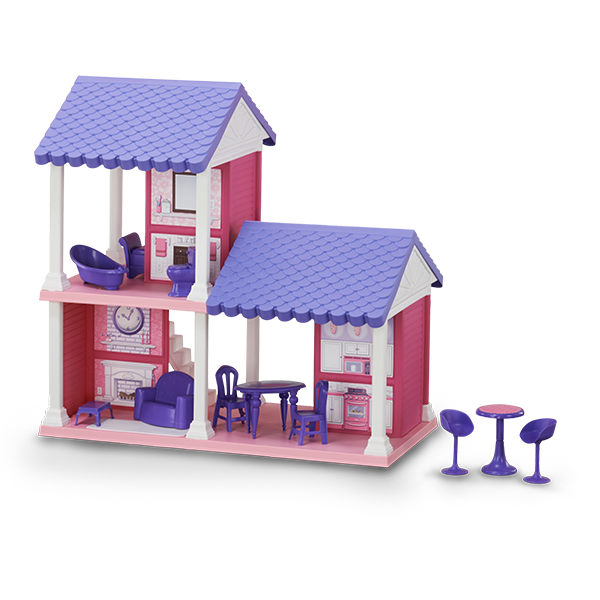 Crafted from strong and durable plastic, this house has beautiful pink and purple accents.